Stop everything you’re doing. Take a deep breath. Think of five words that describe your current state of being. Go on … do it. Now think of five people, living or dead, that you would like to have dinner with. 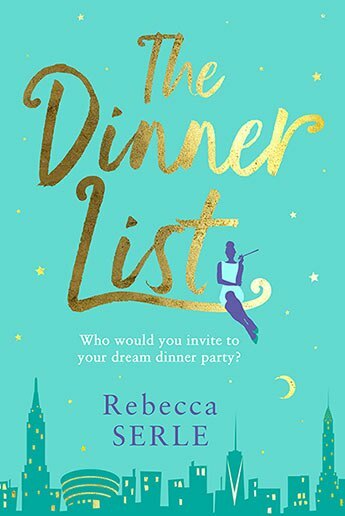 That’s the basis for Rebecca Serle’s fantastic novel The Dinner List. When Sabrina turns thirty, her best friend Jessica arranges for Sabrina’s five nominated people to be at the restaurant, but Sabrina is late. Sabrina was named after the film of the same name, starring Audrey Hepburn, and who wouldn’t want to have dinner with the screen icon? There is also her friend Jessica who arranged the dinner and her now-deceased father Robert who left her life when she was young and had another family. There’s Conrad, the philosophy professor she admired and Tobias, the love of her life – even though she didn’t actually know his name when she originally made the list. It’s a brilliant premise for a story (yes … unfortunately it is fiction) to explore the meaning of life. Each guest picks a topic for discussion and they select – family, history, responsibility, love and global responsibility. The novel takes from 7.30pm until midnight to cover these topics as Sabrina revisits the past and learns about history she had missed out on knowing. That’s four and a half hours to solve and rectify the things that have gone wrong, so she can make amends and reboot her life.